Growing and protecting your wealth. By integrating financial planning with investment management and ongoing advisory counsel, our Private Wealth Management Program aims to help ensure our clients have the freedom to enjoy their success without concern about where they stand financially, no matter what the future brings. We believe that one of the keys to growing and preserving wealth over the long term is a shared dedication to the financial planning and investing process. When it comes to investing, we value discipline, diversification, and data. 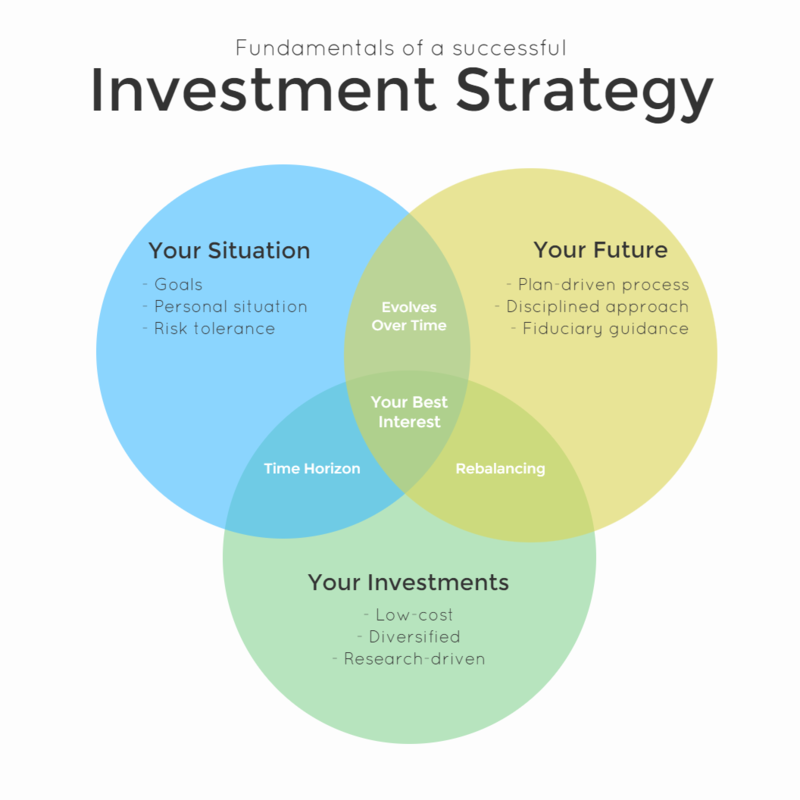 We don’t believe in taking on more risk than necessary or “stock-picking.” We do believe in helping you achieve your personal goals through a pragmatic and research-backed approach to investing. Darrow is among a select group of advisors approved to access Dimensional Fund Advisors funds for our clients. Dimensional’s approach, based on Nobel Prize winning research, effectively bridges the gap between conventional (active) strategies and indexing. Instead of mirroring a commercial index, Dimensional uses the dimensions of expected returns, a framework that analyzes fundamental market data to select securities and capture higher expected returns. Unlike active managers, Dimensional seeks to add value by managing trade-offs: costs, diversification, and premiums. Dimensional funds play an important role in our investment management strategy but we use other investments as well, such as low-cost exchange-traded funds (ETFs). Please contact us to learn more about our comprehensive wealth management program. The conventional “active” approach to asset management is entrenched in the belief that markets are inefficient: highly educated stock-pickers can find mispriced securities and time the market to achieve superior investment returns. Yet the overwhelming amount of academic research and historical data does not support this claim. According to S&P Indices Versus Active (SPIVA®), over the past 15 years (ending December 2016), 92% of actively managed large-cap funds have failed to outperform their benchmark. Mid and small-cap managers have had even more difficulty outperforming their benchmark. Over the same 15-year period, 95% of active mid-cap managers and 93% of active small-cap managers failed to exceed their respective benchmarks. Our clients are looking for an advisor – not a salesperson. As a client, you will never pay commissions or have to worry that your advisor may try to sell you a financial product for their own personal gain. As a fee-only financial advisor, we do not sell securities, investment products, or receive any commissions. A fiduciary duty is the highest act of loyalty, trust and care as established by law. Unfortunately, many advisors are not fiduciaries, or they are only required to wear their “fiduciary hat” in certain situations. As a full-time fiduciary, we are legally bound to act at all times for the sole benefit and interest of our clients. Visit our FAQ page to learn more about our fees and how we work with clients.